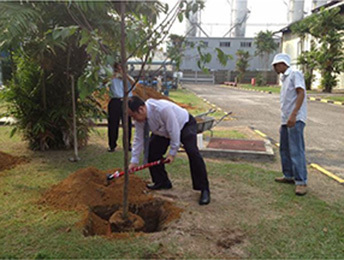 At 9.30 am, our MD Mr H.S.Teh, planted the first of one thousand trees to green our environment, witnessed by employees of the various divisions. In our MD's words, business is not just about making money. It should come with corporate responsibility and environmental sustainability is an important issue. We need to take the first step to make it happen. We should not only think about the usual parameters of quality, cost, lead time and productivity as these are all given to stay in business. We need to look beyond to protect the future. We need to protect and conserve our environment for our future generations. 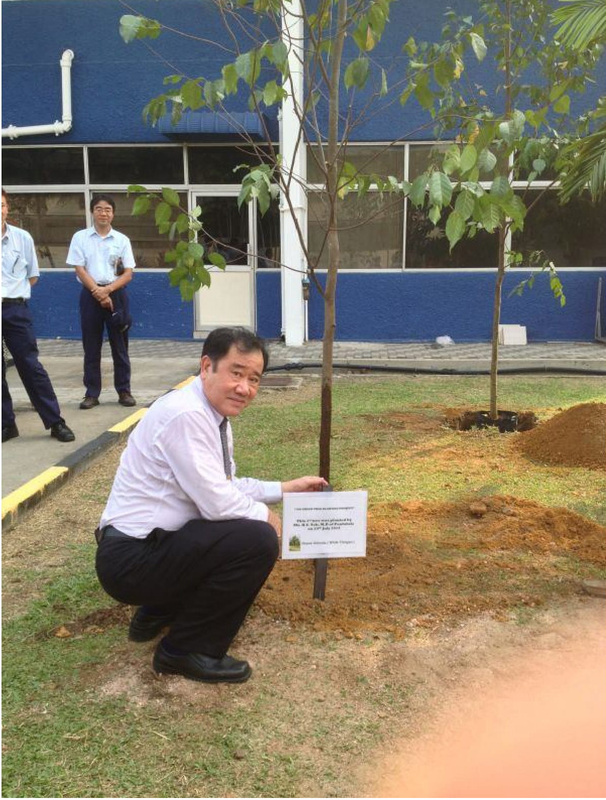 It is Mr Teh's wish to see these trees grow up and provide the necessary shade and protection for our environment. It is similar to our nurturing the next generation to take over our duties and responsibilities. The only difference is, one is for the environment and the other for our business. 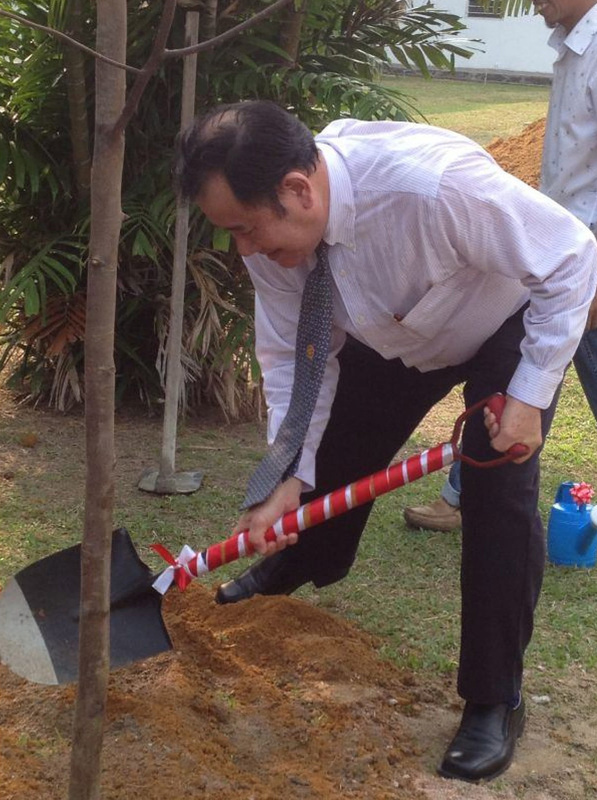 This project of greening will be carried out over a few months and will also encompass all the other mills. By this, we want our people, our customers, Toray and the world to know WE CARE. 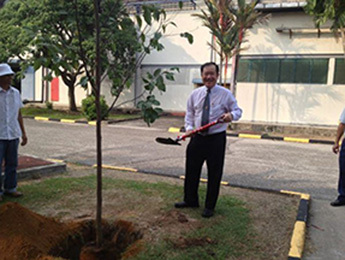 NB: The tree planted by Mr Teh is known locally as White Thingan, scientific name Hopea Odarata. 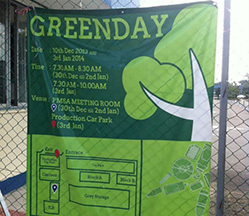 A recycling campaign, called "Greenday" was carried out at Penfabric Mill 4 this week. The project was aimed at raising awareness and promoting proper recycling habits. 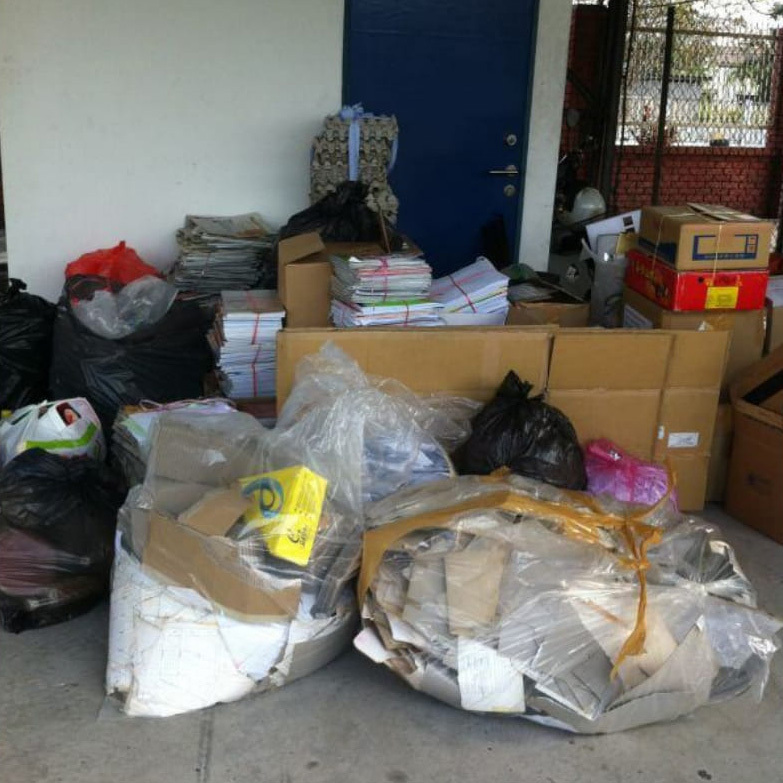 All donations made by the individuals and departments were recorded in respect of the types and weights of recycled goods collected. The 3 recycling bins outside the canteen was also cleared during this event, namely Paper, Plastic and Metal.